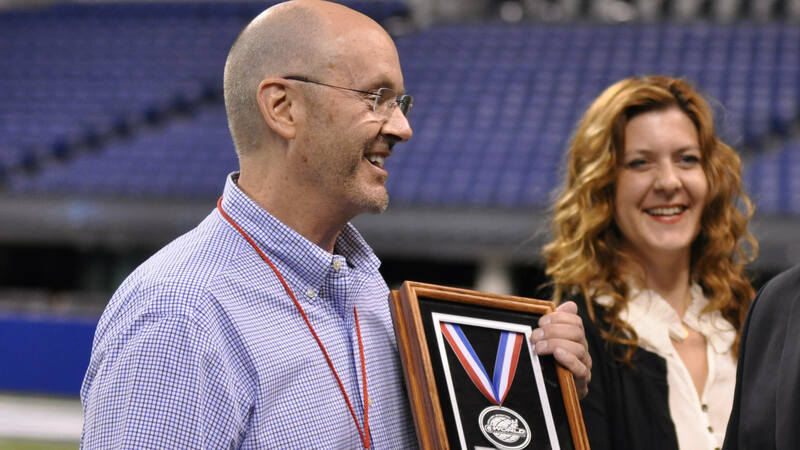 Gary Roberts, President/CEO of Stanbury Uniforms and a good friend to the drum corps community, passed away Tuesday following a battle with cancer. He was 69 years old. A former rock band guitarist, band director, and retail music shop owner, Roberts joined Missouri-based Stanbury as a sales representative and sales manager before becoming the company’s president and CEO in 1993. In the early 1990s when it was announced the company was going to be shut down, Roberts pulled together a group of investors for a buyout and to continue operations. Since then, he built Stanbury to be a major source of uniforms and accessories to a wide variety of marching music ensembles, including nearly a dozen of DCI’s World and Open Class corps, plus numerous all-age and international units. His dedication to keeping Stanbury alive is allowing the company to celebrate its 100th anniversary this year. One of the company’s most notable accounts over the years has been the Bluecoats, with images of the Canton, Ohio-based drum corps frequently appearing in the company’s catalogs and advertisements. New to his position at the time, Bluecoats executive director David Glasgow fondly remembers his initial interactions with Roberts. Roberts has passed his love for the marching arts to his four sons and four granddaughters, many whom are or have been members of high school bands and a variety of drum corps. Visitation services will be held on Friday, April 21, followed by a funeral mass on Saturday, April 22, in Columbia, Missouri. Memorial donations are encouraged to be made to Our Lady of Lourdes Catholic Church or to the American Cancer Society.